When does No Man's Sky NEXT release? Here's when you can play No Man's Sky NEXT and on what platforms. Following its announcement, gamers have been wondering when No Man’s Sky NEXT will release and on what platforms. To quickly recap, No Man’s Sky NEXT is the latest update for No Man’s Sky. It introduces a variety of new features to the game including multiplayer support and expanded basebuilding options. 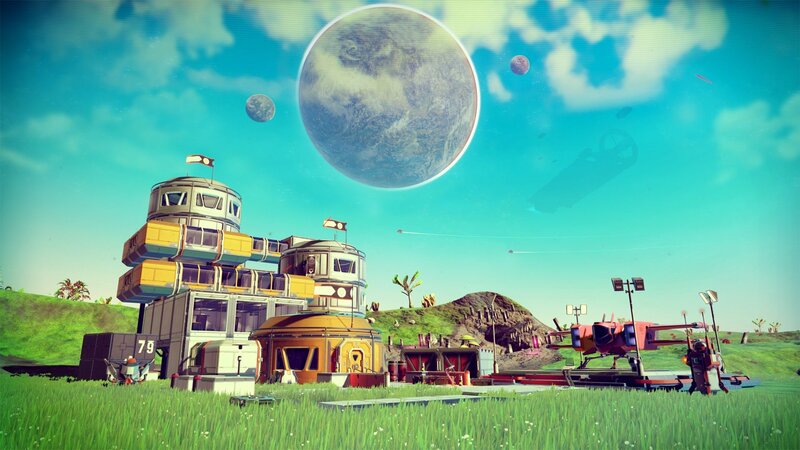 According to Hello Games founder Sean Murray, multiplayer added through No Man’s Sky NEXT will let players team up with a small group of friends, or join random travelers online. You can build shelters, create complex colonies, and fight together in “epic space battles.” Based on the information available, a “small group of friends” will reportedly be you and three other people. Excited to try out multiplayer in No Man’s Sky? Here’s when No Man’s Sky NEXT is set to release and on what platforms! When does No Man’s Sky NEXT Release? No Man's Sky NEXT is releasing sooner than you might think, and will release first on Xbox One. No Man’s Sky NEXT is scheduled to release this month. Based on an update from the No Man’s Sky website, No Man’s Sky NEXT will launch at 2 p.m. (GMT) on Tuesday, July 24. Alternatively, you can expect the release of No Man’s Sky NEXT at 9 a.m. (EST), 6 a.m. (PST), and 3 p.m. in continental Europe. No Man’s Sky NEXT will release first on Xbox One one, then PC and PS4 (both at the same time). When No Man’s Sky NEXT is released, it will give players the opportunity to explore multiplayer for the first time in the game’s history, and will also include other improvements such as unlimited base building. For more on No Man’s Sky NEXT, here's everything you can expect from No Man's Sky NEXT. You can also follow Sean Murray on Twitter for up-to-date info on No Man's Sky NEXT. What do you think of No Man’s Sky NEXT? Are you excited to finally be able to check out multiplayer in No Man’s Sky, or are you more interested in the expanded basebuilding features? Let us know your thoughts down in the comments below, and stay tuned for more news on No Man’s Sky NEXT! By reading through this guide, you should now know the release date and release platforms for No Man’s Sky NEXT.